The City of Vancouver recently posted information about the Women and Family Recovery and Housing Centre, a major new initiative of Union Gospel Mission (UGM). In January, the provincial government promised an $83-million investment in four projects [450 units] all located in the Downtown Eastside. 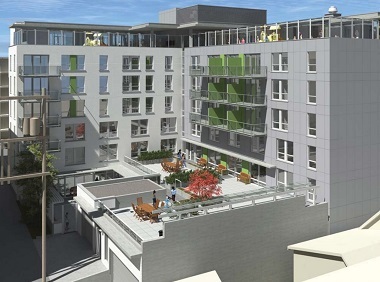 UGM’s planned seven-storey, 63-unit mixed use building will constitute the largest expansion in the ministry’s history. Several publications have covered the process. Here is some of that coverage. Everyone needs bright, airy indoor and outdoor spaces to thrive, according to Barbara Atkins, manager of Union Gospel Mission’s Women and Families Centre on 616 East Cordova St.
That’s why she’s pleased with the design of a new and expanded centre, which will see the existing three-storey building replaced with a seven-storey one. Renderings were released recently as part of the development permit process. “[The design] is great. It’s in keeping with the neighbourhood . . . it gives safe space for the children and the moms, with the courtyard not facing out to the street,” she said. UGM’s Women and Families Centre serves women, some with children, who have addiction histories and need support. The facility currently has 15 units of transitional program housing, but with the seven-storey redevelopment as UGM’s Women and Family Recovery and Housing Centre, it could have as many as 63 social housing rental units, including 27 sleeping units similar to the existing facility and 36 units of new social housing for women who have finished the program and other women in need. . . . These units are meant to be temporary housing only; the average tenancy will range from two years for transitional housing to five to six years. Additionally, the new facility calls for after afterschool program for youth, daytime outreach program for women, and a daycare centre with 12 spaces for babies and toddlers and 16 spaces for pre-school age children. 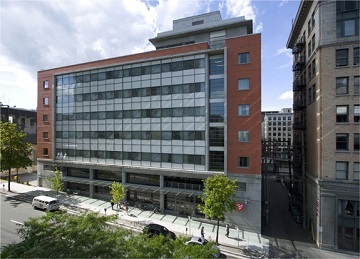 Belkin House, in the downtown core, is one of several Salvation Army projects undertaken by NSDA Architects. 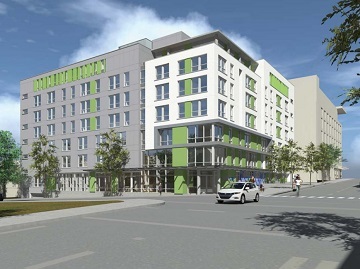 Belkin House (Salvation Army) is the largest supportive housing project in BC for the homeless, those at risk of homelessness and low-income families. Kate Booth House (Salvation Army) has provided a safe, confidential refuge for 15 years for women and their children fleeing domestic violence. NSDA was retained to design a new purpose-built transitional shelter for 25 residents. Rotary Hospice House: (Salvation Army) is a 10-bed home-like facility, providing quality end-of-life care to residents of Richmond and Vancouver. Buchanan Lodge: (Salvation Army) is a friendly, supportive, residential complex-care home in which frail elderly and dementia residents would be accommodated in several self-contained households. Karis Place is a partnership between BC Housing, the City of Vancouver and the Granville Mennonite Housing Society – it provides subsidized rental housing for people at risk of homelessness as part of the Provincial Homelessness Initiative (PHI). Camp Sunrise (Salvation Army) is a summer camp for children and youth in Gibsons, BC. It is situated along a westerly forest edge, oriented to the camp commons and has views to the ocean. The application is scheduled for the Development Permit Board June 11 at city hall. Written comments (letter or e-mail) on the development application should be received by May 4 to be considered in the staff review (though its seems that written comments will still be considered until the date of decision). Thanks, Flyn, for posting this! We are very excited about the ability to serve women and families more extensively in the future with this new development. We covet the prayers of God’s people for the next steps.